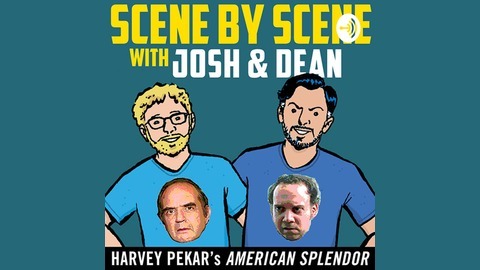 Josh Neufeld & Dean Haspiel break down Harvey Pekar's AMERICAN SPLENDOR the movie (2003) scene by scene, with insight, humor, and inside information. Neufeld & Haspiel were both illustrators for the American Splendor comic book. SCENE BY SCENE is geared toward fans of indy comics and movies, as well as the rapidly growing “movies-by-minute” podcast movement. 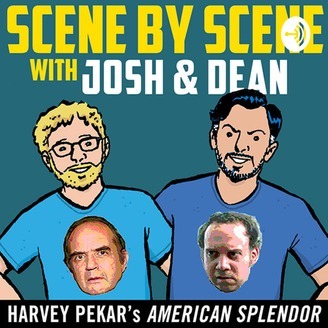 You can find SCENE BY SCENE at http://www.scenebyscenepodcast.com Become a supporter of this podcast: https://anchor.fm/scenebyscene/support. American Splendor's second scene (1:24 to 4:49) introduces Paul Giamatti as Harvey Pekar, walking the gritty Cleveland streets, interwoven with the film's opening credits, all formatted to look like comic book panels. Then we meet the real Harvey Pekar in a faux behind-the-scenes documentary setup. A discussion of American Splendoras a groundbreaking type of comic book — an alternative to both mainstream superhero comics andunderground comix. Some information about writer/directors Shari Springer-Berman & Robert Pulcini, as well as the previous attempts to make an American Splendorfilm. Josh discusses making nonfiction comics, specifically journalistic comics and autobiography. The city as character: Harvey Pekar's Cleveland and Dean's stories of Brooklyn and Trip City.